Speeding up video encoding process is an important issue nowadays due to the high demand of increasing the video transmission speed for real-time video applications. Many algorithms and hardware implementations have been proposed for achieving such demand using pixel domain motion estimation. Moreover, much savings in computations and hardware complexity can be achieved using frequency domain motion estimation (FDME). The key issues in the FDME encoder is to generate four different transforms that are used for deciding the best match motion vector in the motion estimation (ME) process. The related transformed-discrete cosine transform (RT-DCT) generator is responsible for generating such transforms in the FDME encoder. In this paper, a fast RT-DCT generator is proposed to speed up the FDME encoding time by reducing its complexity. That makes the proposed RT-DCT appropriated for real-time video applications with limited resources, such as mobile internet device, cellular phones, personal digital assistant (PDA), and ultra-mobile personal computer. Moreover, the proposed architecture does not scarify the resolution. By adding the proposed RT-DCT generator to the whole FDME system, implementation and simulation results show that the system performs ME for SDTV video sequence at 371 MHz. The authors acknowledge the support of the Institute of Scientific Research and Revival of Islamic Heritage—Umm Al-Qura University—KSA for supporting this work under the project number 43308016. The authors also acknowledge the support of the Deanship of Scientific Research—University of Bahrain—Kingdom of Bahrain. 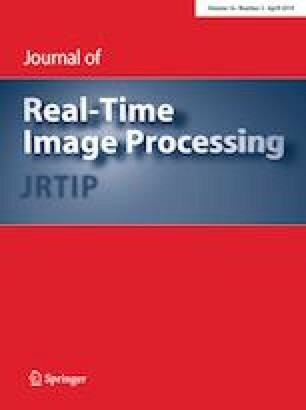 The authors thank the editor in chief, the associate editor, and the reviewers of the Real-Time Image Processing journal for their valuable and constructive comments that helped to enhance the quality of this paper.